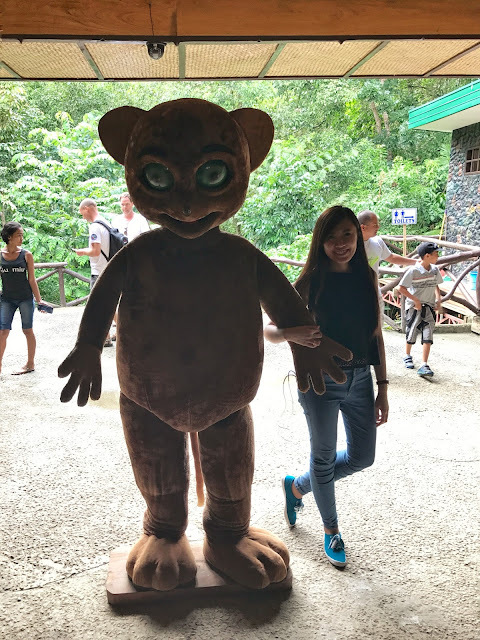 Tarsiers are closely associated to Bohol so it would be lame to not visit the Tarsier Conservation Center when in Loboc. And I was so glad when R's dealer drove us to the place right after visiting Chocolate Hills. 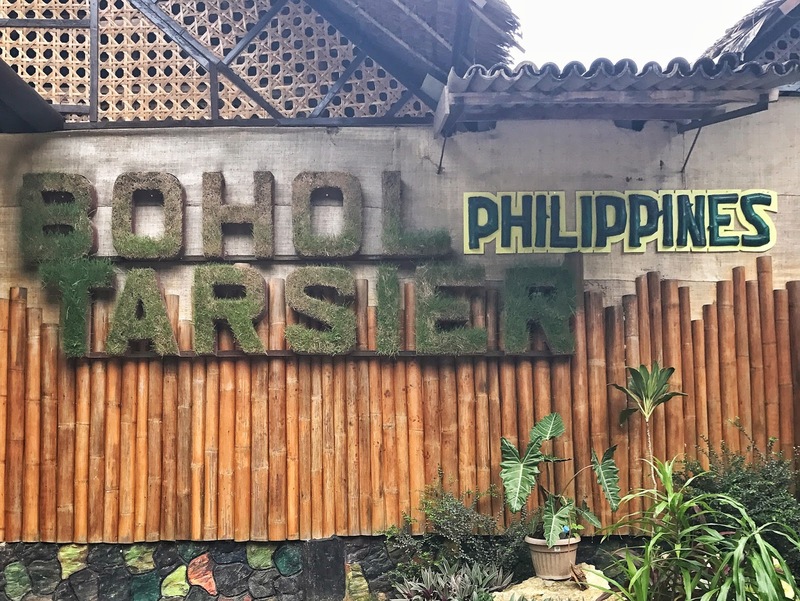 The Tarsier Conservation Center is just a few minutes away from the famous Chocolate Hills so you could definitely visit these two tourist spots in half a day or even in two hours. For an affordable entrance fee of PHP60, you can enter the home of several tarsiers. Though you'll be greeted by a rather creepy huge human-size tarsier that seemingly wants to hug you, the real ones are quite adorable. Sadly, its cute look is what made it part of the growing list of endangered species. 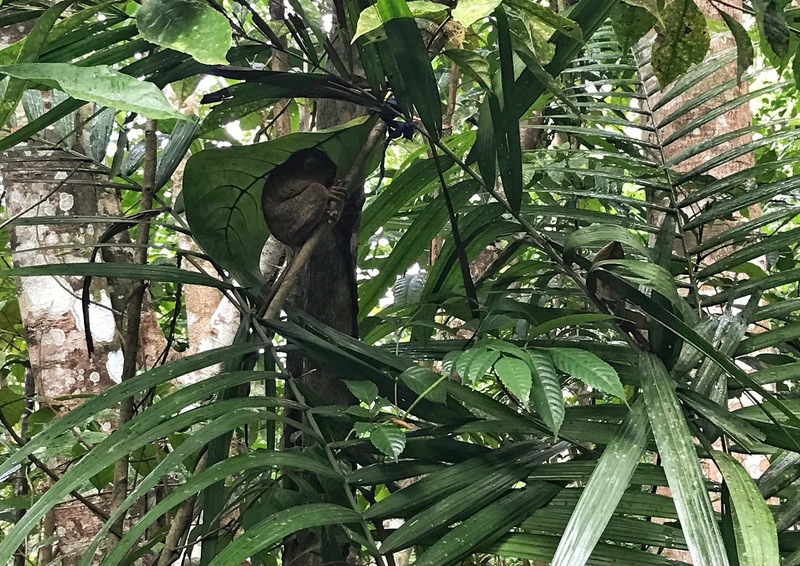 Before heading inside, one of the staff briefed us with the rules of the conservation area and these are: (1) no flash photography; (2) do not touch the tarsiers; and (3) keep your voice low. These are strictly observed as to avoid the little munchkins from getting stressed. They are quite anti-social after all and are used to quiet solitary life. There are staff assigned to each tarsier, acting as bodyguards. I guess this is to protect each one and to remind visitors to observe the rules. 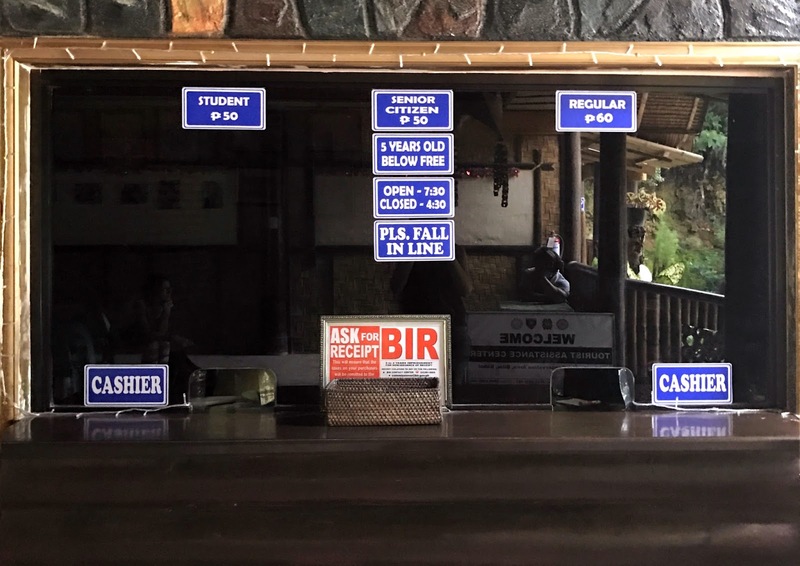 Unfortunately, we noticed some foreign visitors abused the rule and used their selfie sticks during our visit. They used their monopods to have their phones as close as possible to the tarsiers which could have stressed the small creatures. We didn't really spend much time here as it was drizzling during our visit and there were mosquitoes given the landscape of the area. 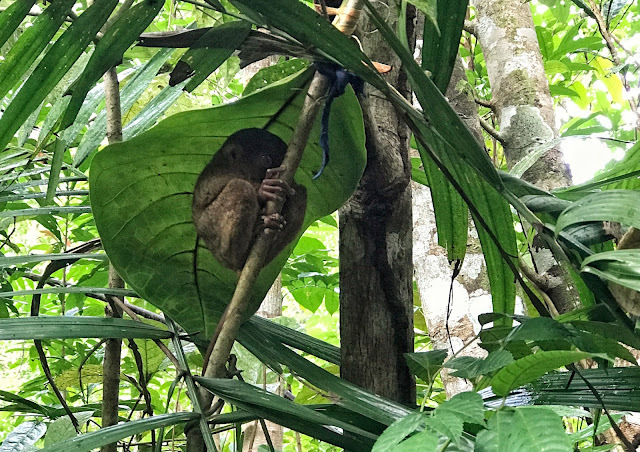 But I was so glad to finally see these wide-eyed, small and shy animals. 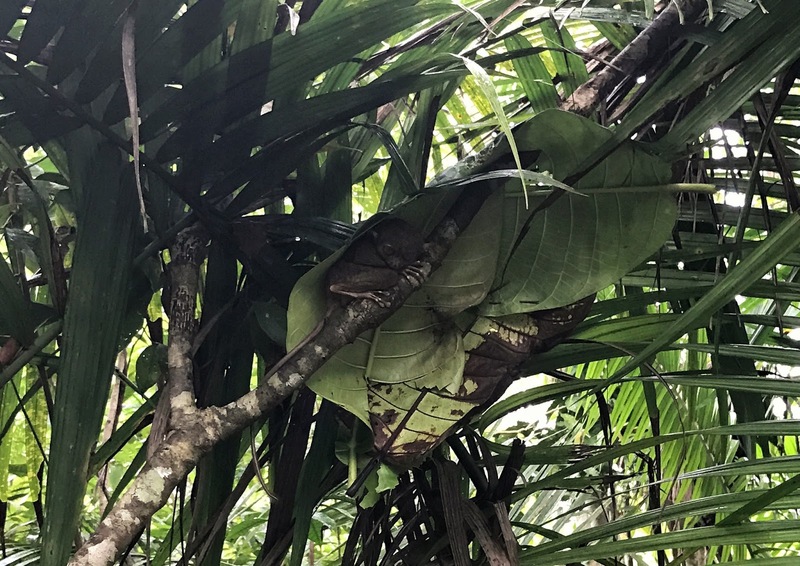 I do hope that the illegal trade of tarsiers stop. As cute as they may seem, they cannot live long in captivity. They are creatures that function and live best in the wild. Let us help preserve these adorable mammals for the next generations to see. 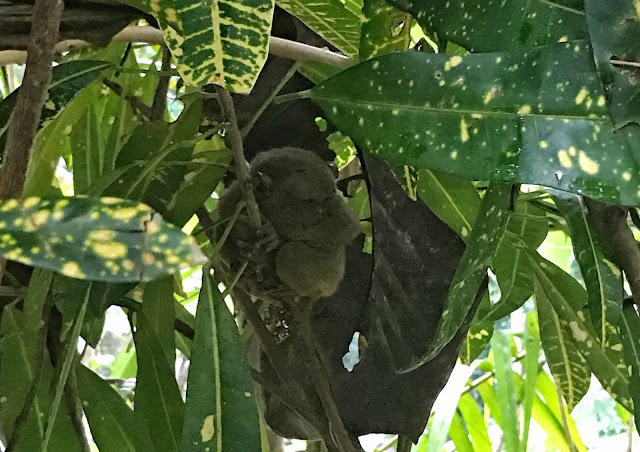 Tarsier Conservation Center is located at Loay Interior Rd, Loboc, Bohol.